Experience the gorgeous transformation of three lucky brides at WeddingSutra on Location at The Perfect Location. 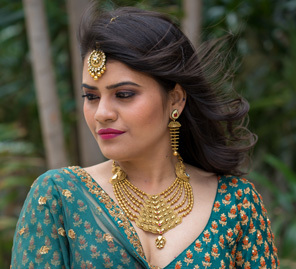 Through the latest edition of WeddingSutra on Location in collaboration with Azva and Lakmé Absolute, we bring to you the top bridal trends and style statements from some of WeddingSutra Favorites. 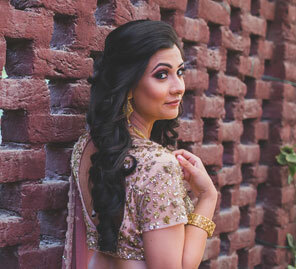 Three brides-to-be were treated to a stunning makeover at one of the most eclectic shoot spaces in Delhi NCR, The Perfect Location, Faridabad. 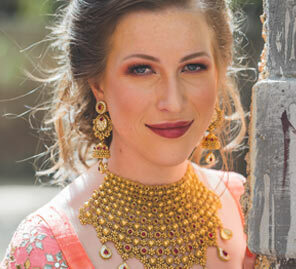 The girls found themselves very impressed by the bespoke gold jewellery creations by Azva. 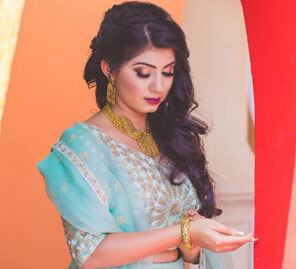 While WeddingSutra curated the looks with keen attention to detail, makeup artist Pooja Khurana matched the style wonderfully with bridal looks that were created using Lakmé Absolute makeup range. Some of the leading designers in the industry - Astha Narang, Rahul Mishra, and Abhinav Mishra, extended their collections to the girls. Once they had selected the outfits, they couldn’t wait to pair them with the exquisite jewellery by Azva. Their unique handmade pieces are exemplary of high-quality design and craftsmanship and were just what they needed to look like the best bridal version of themselves. Their moments were captured by Ramit Batra. Here's a little sneak peek showcasing some of the most precious candid moments as the brides got wedding ready.